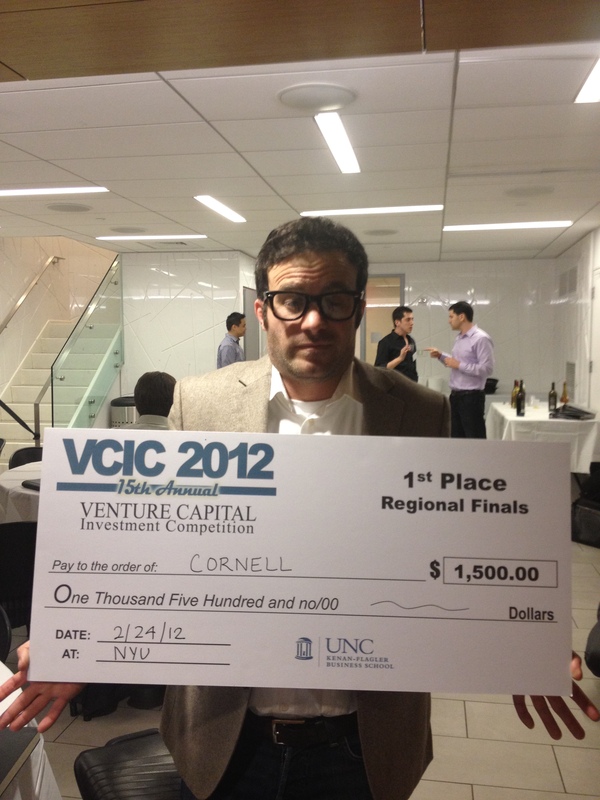 Great news: today a team of Johnson students from Cornell University won the regional VCIC competition in NYC. They competed against Columbia, Rochester, Purdue, Johns Hopkins and Yale. Next stop is the finals in Chapel Hill April 12-14. Go Cornell! !